STATUS – A resident in Derbyshire that is widely distributed and not uncommon at a few local sites in the lowland areas of the county. 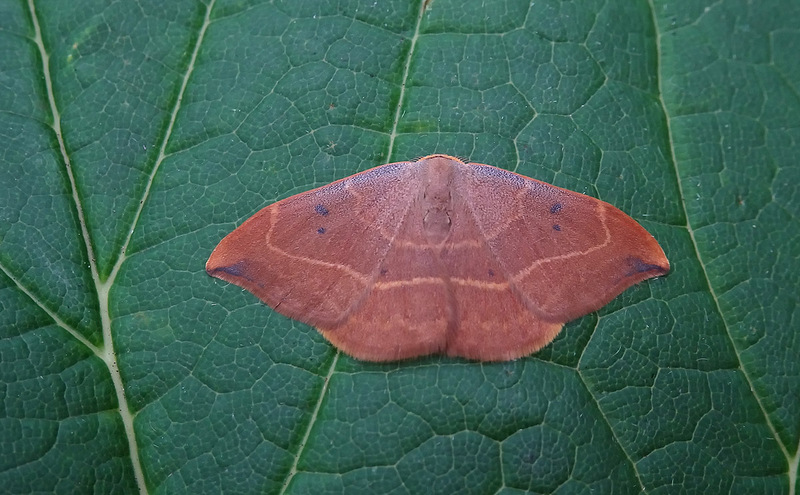 ID POINTERS – A very distinctive and rather attractive looking orange-brown moth with “hook-tips” to the forewing, two well defined pale orange cross-lines and two central black spots also on the forewing and a small black dot on each hind wing. FLIGHT PERIOD – On the wing – May – June and a second generation July – September.